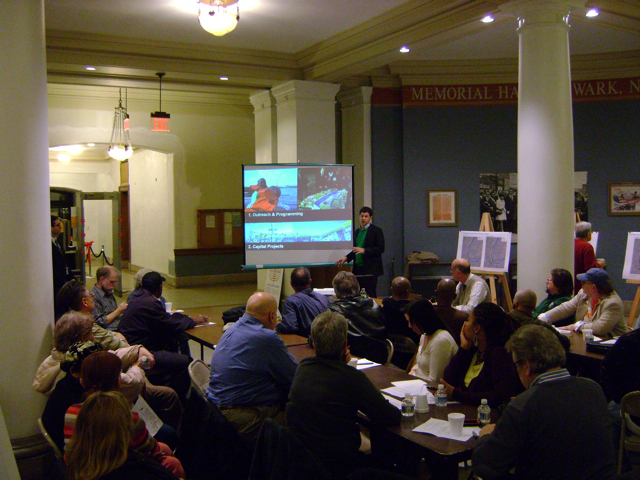 On December 15, over 75 Newarkers came to City Hall to learn about, discuss, and debate proposed rules to govern the future development of the Newark Riverfront. 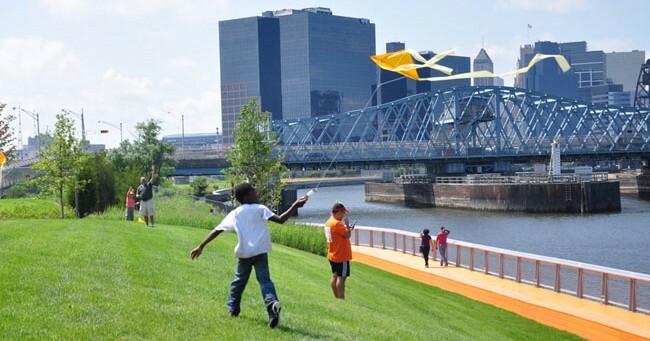 Below, please find links to download the Draft Proposal for a Newark Riverfront Development Framework that was presented at the meeting. While many details remain to be resolved, the PDF presentation and accompanying maps (10 megabytes) provide a vision for Land Use, Height, Open Space, and Public Access along the riverfront from the North Ward through the Ironbound. Please share any questions or comments with a Comment Sheet. Based upon feedback received at the 12/15 public meeting and subsequently, the planning team will now complete a full draft for public review. 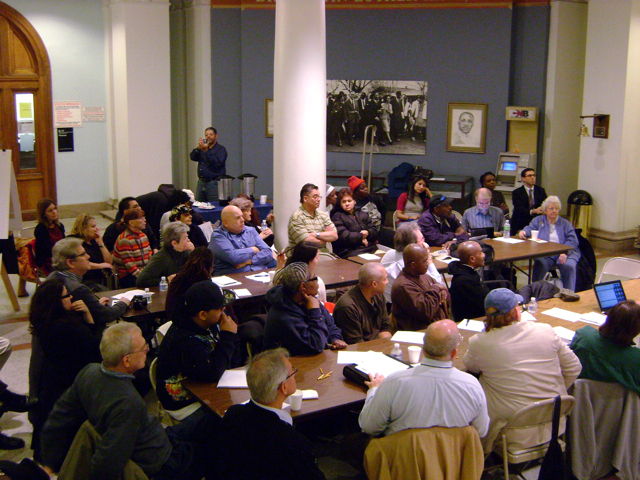 Stay tuned for our next public meeting in the spring later this year. This entry was posted in Public Programs, Rules for Development on January 4, 2010 by newarkriverfront. Floating docks should have several different heights above the water and also an area with a sloping surface to the water. The design should accommodate kayaks, canoes, small boats and larger vessels.. Docks should be ADA compliant and have adequate lighting. Security monitoring can be achieved by closed circuit TV. Dock areas with high usage could be supplemented with paid uniformed marina attendants. This would be a great summer job opportunity for the student population.